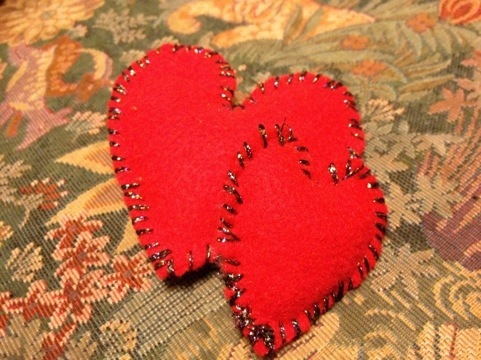 My mom made these little felt hearts and put them in a cloth envelope as part of a Christmas gift for my oldest son. He just loves them. They’re so cute and I couldn’t help but think what a cute simple Valentine gift or craft project these would be.